Exploring the Idealised Self: Avatars as a Vessel for Adolescent Identity Exploration and Growth is a paper presented at the 5th Global Conference: Videogame Cultures and the Future of Interactive Entertainment. 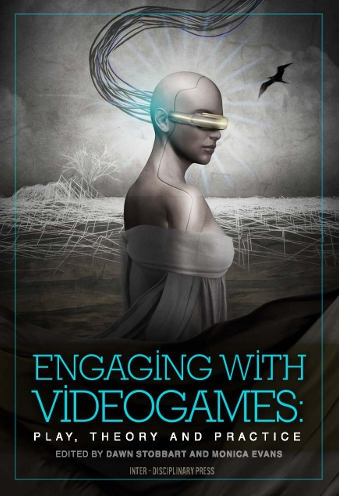 It was formally published in Engaging with Videogames by Inter-Disciplinary Press. Video games allow people to assume identities through avatars, reducing thecognitive and environmental difficulties present in identity development. They alsoshape our perceptions of self and our sense of identity. The concept of self-identity is important in the education as it affects how students view frustration and difficulty in pursuit of complex tasks. Video games could serve as tools to enhance or repair an adolescent‘s self-identity through safe exploration, improving academic and/or emotional growth. Through interactions with an avatar, an adolescent can explore and develop their understanding of ideal behaviours. The avatar itself presents a unique topic in the development of serious games and identity. !urrent theories in pedagogy and identity, as well as research into the human-avatar relationship can better guide the development of avatars in serious games. The avatar can thus become an idealised self that an adolescent can project idealised characteristics onto in the process of creating a conversation between one’s real life self and one’s ideal self. Traditionally, self-identity is built through educational interventions and planned programs, but it could be possible for technology to offer new benefits in making these programs more efficient and effective in teaching a new generation of digital natives. You can find the paper on my Academia.edu page.